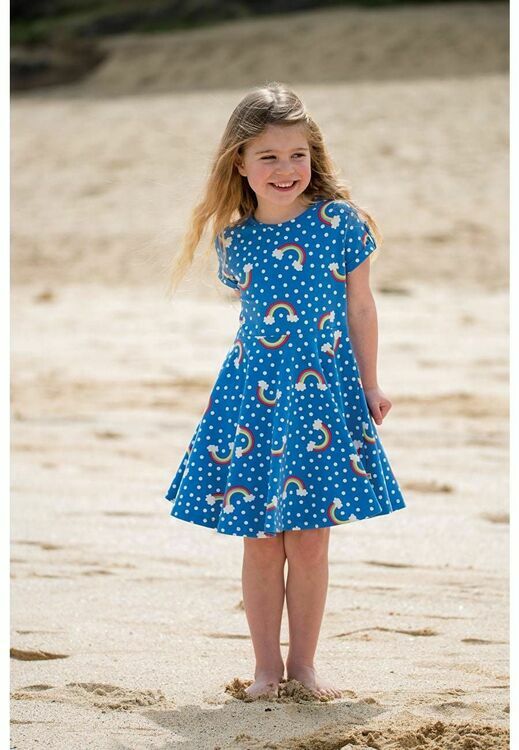 A super dress to twirl around in! 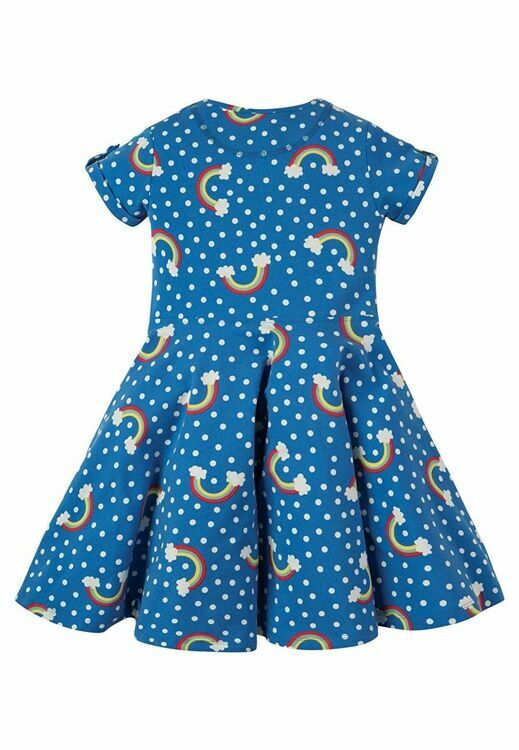 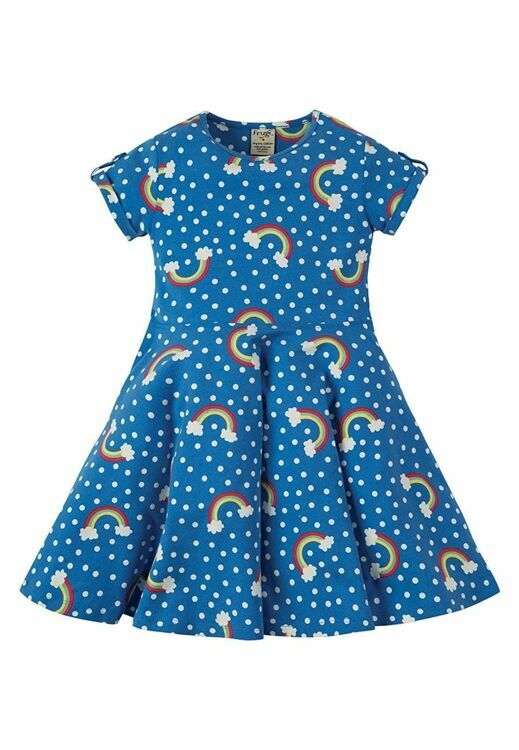 This Frugi Spring Skater dress has a full circular skirt and flattering cap sleeves. 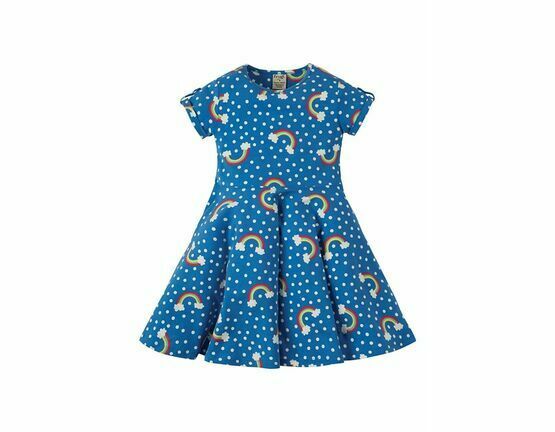 It is made in a lovely stretchy organic cotton jersey making it a really comfortable garment to wear. 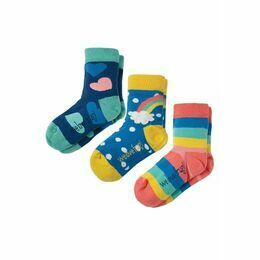 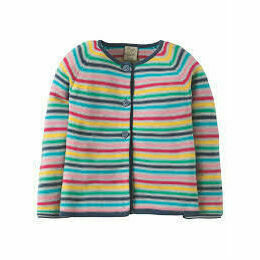 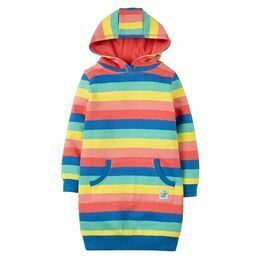 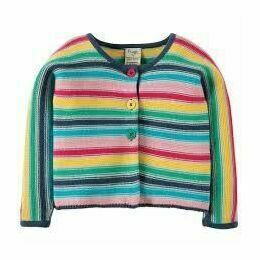 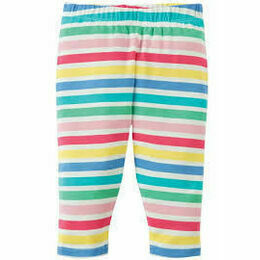 The vibrant rainbow design is fun and colourful and will look lovely teemed with the Frugi yellow cotton cardigan.